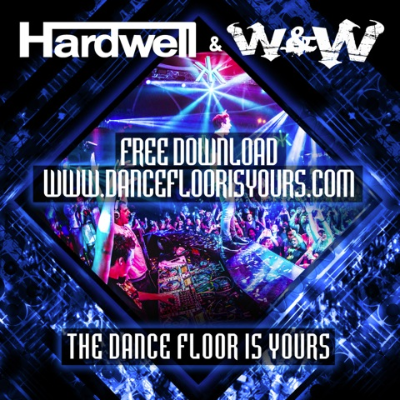 Hardwell and W&W come together one more time for a brand new production and exclusive free download of their track, ‘The Dance Floor Is Yours.’ Born out of a late night studio sessions together in Holland, Hardwell first premiered the track at EDC 2013. The track’s big-room sound has all the call signs of a Hardwell and W&W track, ideal for certain festivals and Ibiza club nights, where it has been doing well all summer. To get your hands on a copy, you must first tweet #DanceFloorIsYours. Once the threshold has been reached, the track will be available to download to get your own copy.